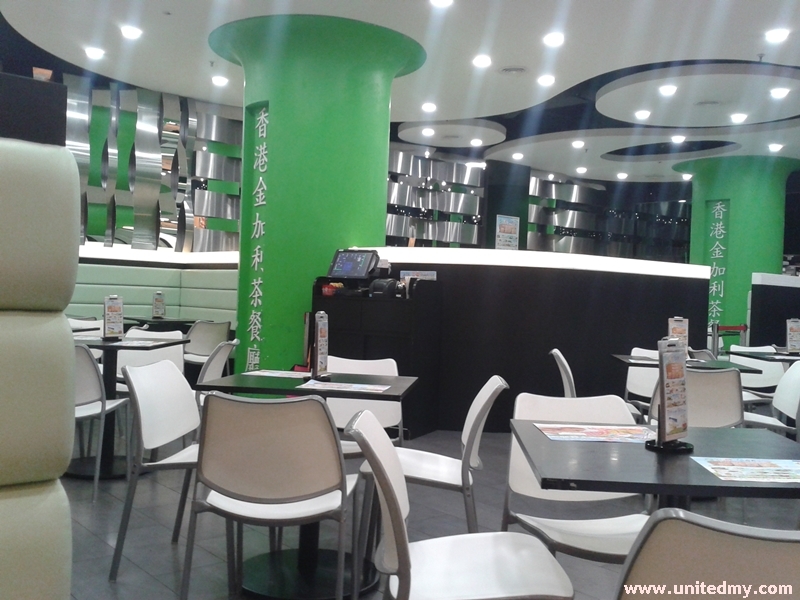 Menu is comprising of Japanese, Hong Kong and Western cuisine. Kim Gary Restaurant does not really has a signature dish. 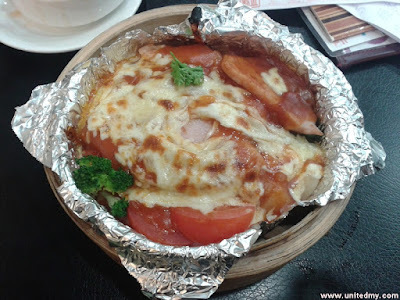 Guessing the best and most popular dish to eat, I try to find out food related to its name of the shop "Hong Kong". 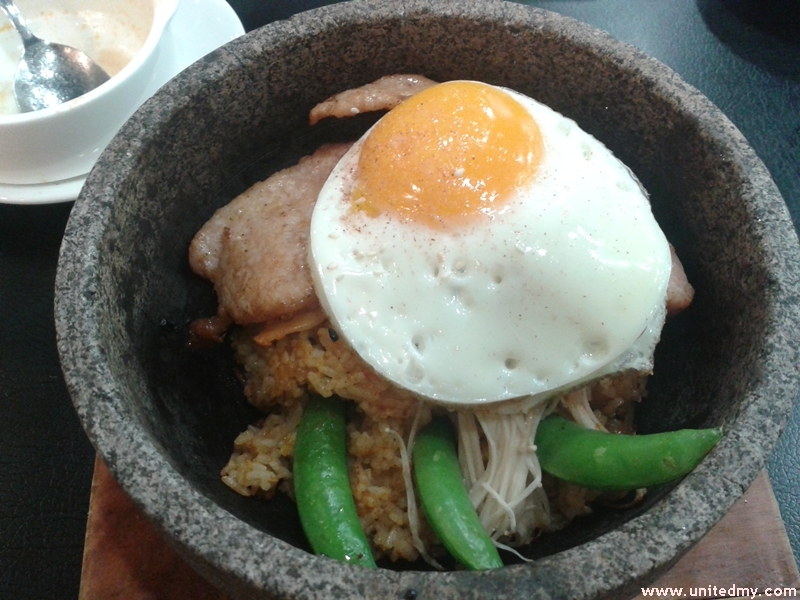 I had chose the mouth-watering cheese baked fried rice with pork. . After that, It is an ever-lasting experience. The kind and helpful service associates would ask you "soup type and drinks". 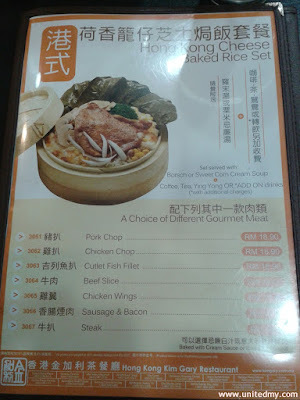 It was a surprising moments trying to understand and pronounce the desired order because the menu written in traditional Chinese characters rather than the simplified character. It was an awkward encounter. There was another soup something like corn soup and some other beverage. 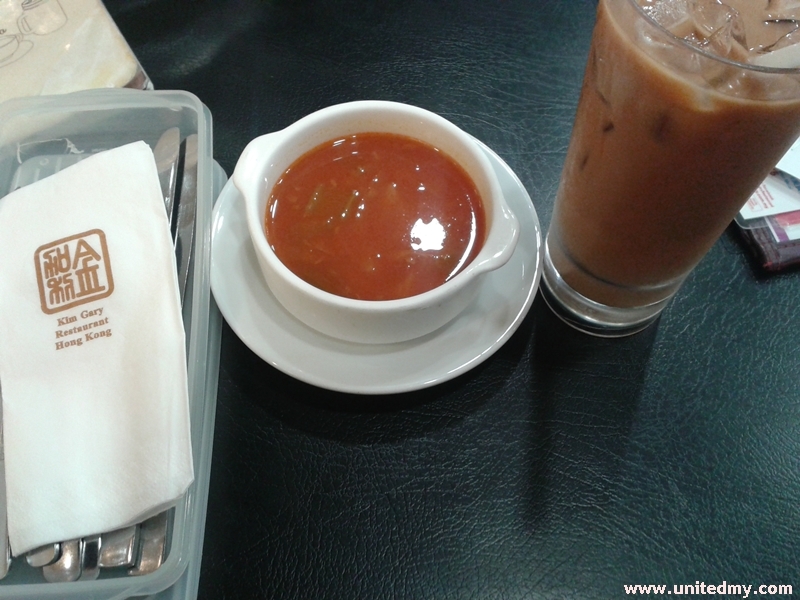 I like the Milk Tea and Tomato Soup shown in above image. There was a menu counter for customers viewing before entering dining table. At first thought, Kim Gary was pretty much a Korean name painted a wrong impression. Believe they do have some Korean dishes. Take a look at the menu, since some restaurants preferred to put a bigger image in order to insert a "big portion" impression to walk-in customer. Full of Drools into the spoon and and fork so that nobody could take my portion because it polluted by my smelly saliva. It has an incredible size of satisfaction. The cheese is just right there fully covered the surface with tomato and vegetable. Where are the porks ? the answer is hiding beneath the mountain of cheese. Two big pieces of pork that was more than enough. The taste of tomato and baked cheese are the best combination ever. 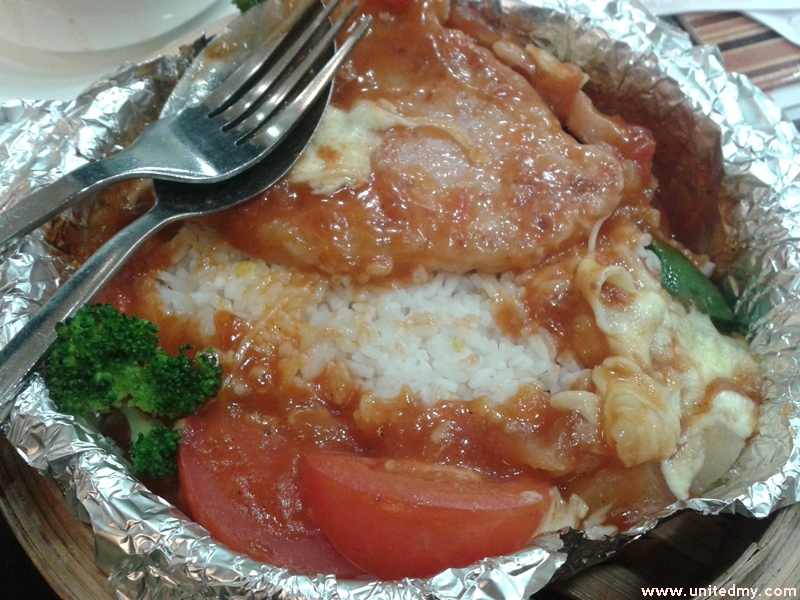 Another day tried the Stone Grilled Japanese style Curry rice. I must say if Cheese baked vs Stone Grilled. I totally vote Cheese baked rice. There are many Kim Gary restaurants opened throughout Malaysia. 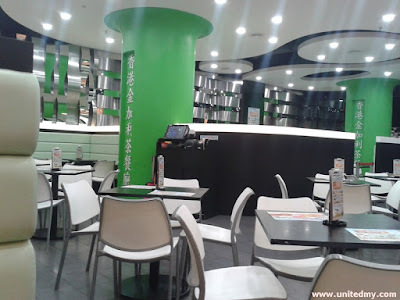 One of the successful Asian franchise restaurants.